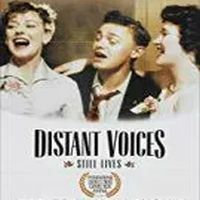 The Cinematic Classic Film series continues with Distant Voices, Still Lives. An evocative account of working-class life in Liverpool, England during the 1940s and 50s, loosely based on the director Terence Davies’ own family and upbringing. This is the 30th Anniversary edition and a new Restoration.